(SPOT.ph) Filipino boxing champion Manny Pacquiao defeated American boxer Shane Mosley by unanimous decision yesterday in Las Vegas and retained his World Boxing Organization welterweight crown, reports Inquirer.net. However, the Fighter of the Decade told ESPN that he was "not really 100 percent satisfied" with the win, reports ABS-CBN News. Referring to Mosley’s "evasive" moves, Pacquiao said, "He (was) moving around; he didn’t want to fight with me... That’s why we saw less action in the ring." Pacquiao also admitted that he "got mad" over referee Kenny Bayless’ ruled knockdown in the 10th round, reports ABS-CBN News. According to Inquirer.net, Bayless ruled a push from Mosley as a knockdown in favor of the American boxer. ABS-CBN News quoted Pacquiao: "Even if you didn’t get hit that’s still a knockdown. It’s already recorded in the scorecards... That’s why I got mad. I had to recover on points." Yahoo Sports reports that Bayless later apologized to Pacquiao for the ruling. 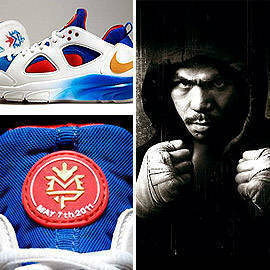 ABS-CBN News reports that Pacquiao started suffering from a leg cramp as early as the fourth round. "I asked them to press my leg because it really hurt. In the last three rounds, it felt better." Pacquiao’s boxing promoter Bob Arum said he is eyeing a November bout between the pound-for-pound champ and Mexican boxer Juan Manuel Marquez, reports ABS-CBN News.